Distressed denim is nothing new, but Vetements has taken the deconstructed(/reconstructed?) 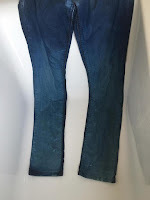 look to the next level by taking two pairs of vintage Levi's and reworking them to become one - very expensive - pair. The hem of these jeans has sparked a trend in jeans that is popping up everywhere on the high street, and also a creative urge to DIY in bloggers (here, here and now right here in this post). Enter the "Step Hem": where the raw hemline is shorter at the front and longer at the back. 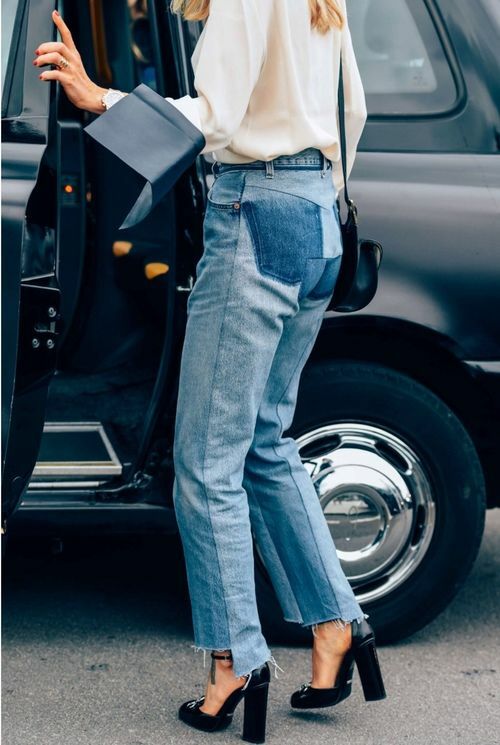 The Vetements version are paired with the dual-toned denim trend, making them effortlessly cool and an AW16 must. 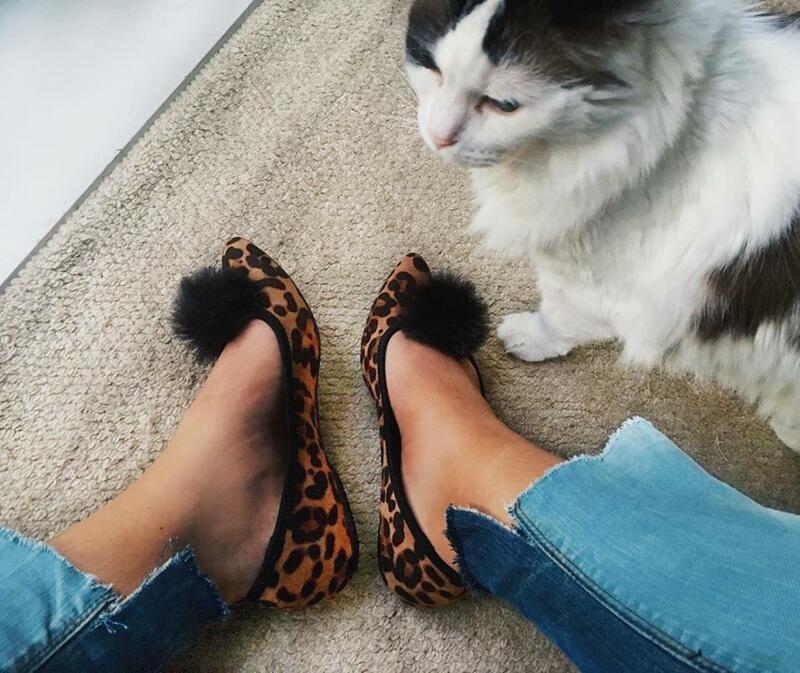 The high street versions are a bank-account-friendly way to get the look. 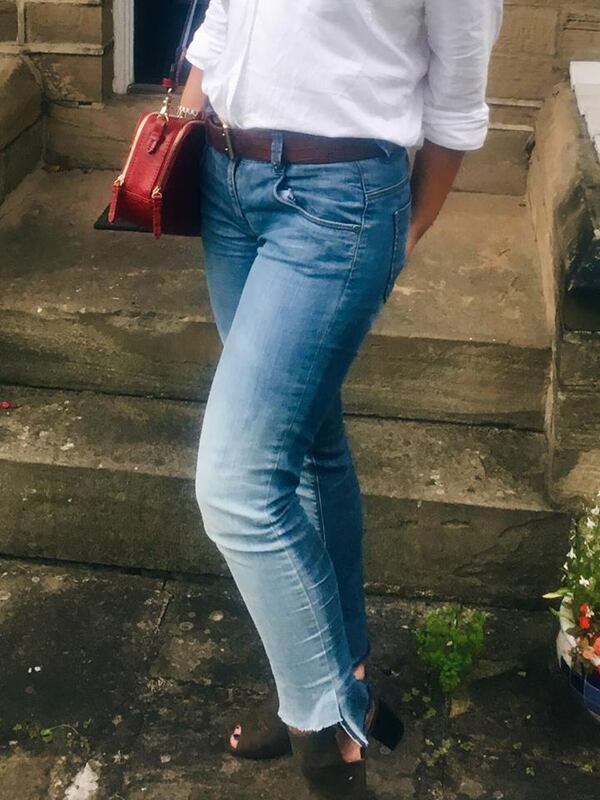 Topshop have come up with a more understated nod to the look, while H&M have featured the front seam and contrasting denim similar to the high end pair. 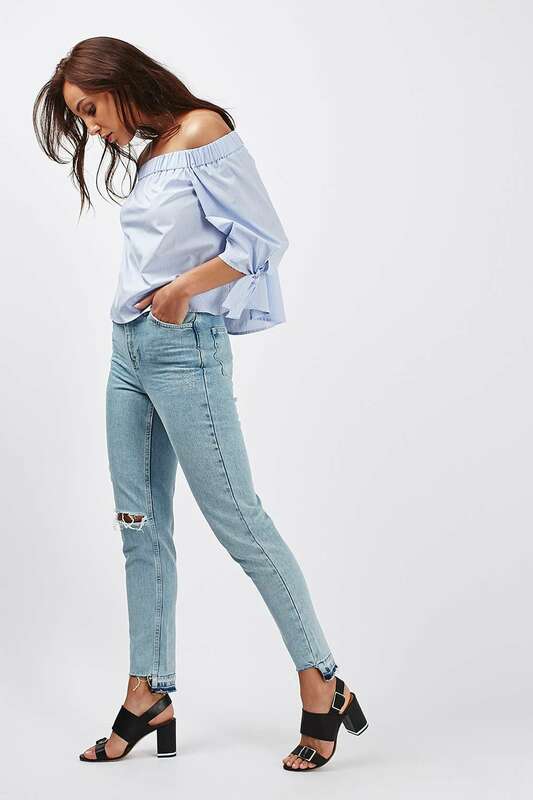 Missguided also have a faded pair with irregular cuts in the bottom. Of course I took the cheapest option: DIY. 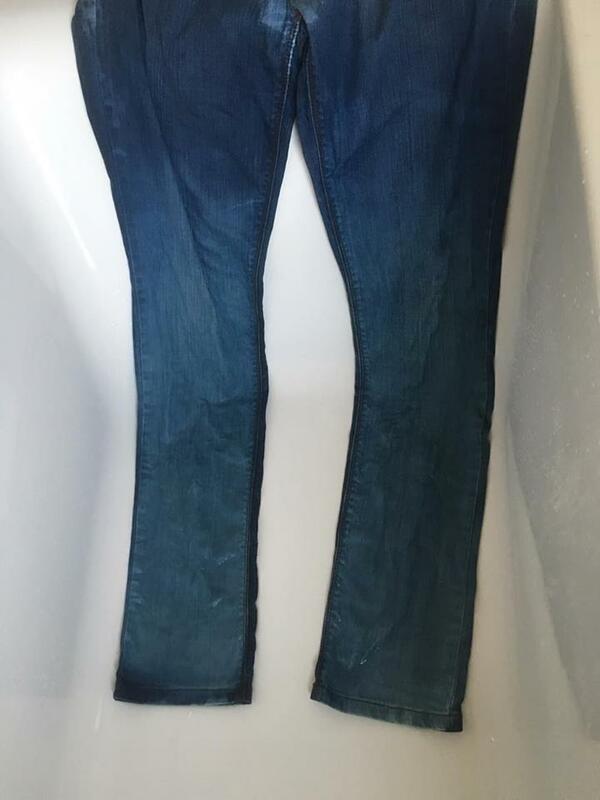 I wanted to create the two-tone denim look so instead of stitching together two pairs of different jeans I chose to bleach the front section instead. I found the best way to do this was to fill the legs of the jeans with plastic bottles so as to separate the front and back and to make sure the bleach doesn't get to the back of the jeans. Then, using a cloth I applied the mixture of 2 parts bleach and 1 part water to carefully to the front of the jeans. 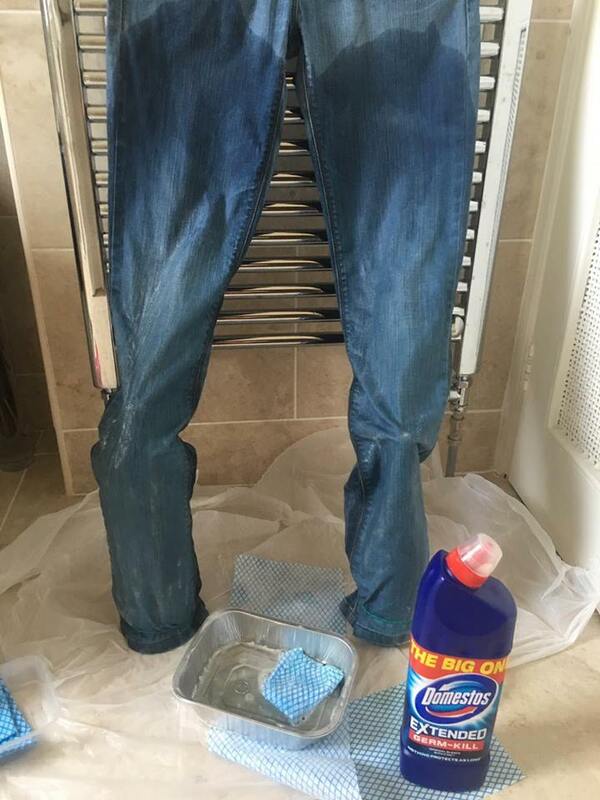 I rubbed the mixture in (wearing rubber gloves of course) and left for about 20 mins until I could see the colour leaving the jeans. I then rinsed the bleach out thoroughly in the bath and put them in the washing machine. The next step (lol step, get it?) was to cut the hem of the jeans. After they had dried, I tried them on and measured how much I was going to cut off and marked it. Then I took a pair of scissors and began to cut along the seams up the sides, a little further than I was going to cut the hem. I cut the first inch of the new hemline and then ripped them with my hands to get a more authentic frayed look. 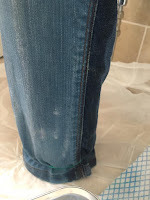 I then pulled away the horizontal fibres in the denim to create longer frays.